Today I’m going to introduce you to the best thing ever. Are you ready for this? 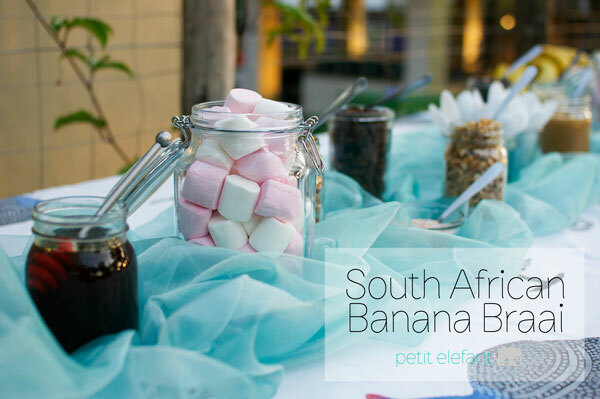 Think of your palate exploding with chocolate, coconut, and banana, and you have a South Africa banana braai. Not only am I going to give you the how-to, but I’m going to throw in some free history lessons along the way. Let’s start with braai. What the heck is that?? braai ~ (pronounced bry) a structure on which a fire can be made for the outdoor grilling of meat. English translation, grill or barbecue. Now that we’re on the same page, let’s look at all you need to know to wow your friends with the best banana braai ever. 1. Grab your favorite guinea fowl tablecloth. What? You don’t have a guinea fowl tablecloth? 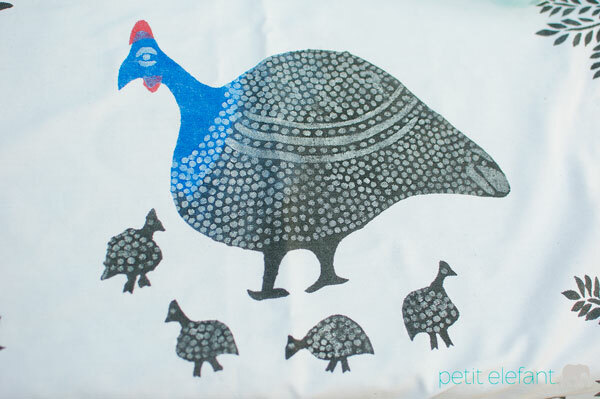 I guess any old tablecloth will do, BUT did you know that the guinea fowl are native to Africa? We have the helmeted guinea fowl here in S. Africa, and they are absolutely beautiful with their blue heads. If you want an authentic, traditional table setting, guinea fowl are the way to go. 2. 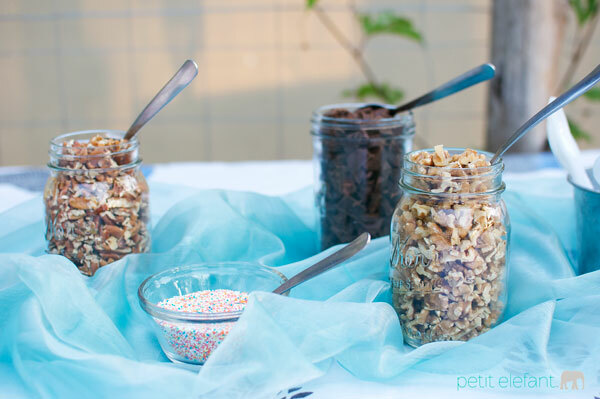 Create your toppings bar. This is the best part. My toppings bar included chocolate (of course), peanut butter, sprinkles, coconut, marshmallows, almonds, walnuts, pecans, syrup, and cinnamon. Yum. 3. Prepare your banana. There is a technique to a successful braaied banana. First, don’t peel the banana. After you’ve resisted the urge to undress it, set your banana on your plate so that it looks like a boat. Slice down the center of it longways. DON’T SLICE ALL THE WAY THROUGH! If you do, your banana guts along with all your favorite toppings will ooze out onto the hot coals resulting in tears and heartache. After carefully slicing, fill with all your favorite toppings! 4. Set your banana in the hot coals. Banana braais are great after grilling your meat, because the fire has died down, but the coals are still nice and hot. If you’re not going to grill meat beforehand, just make sure that you start the fire in time to reach the hot coal stage before putting bananas in. 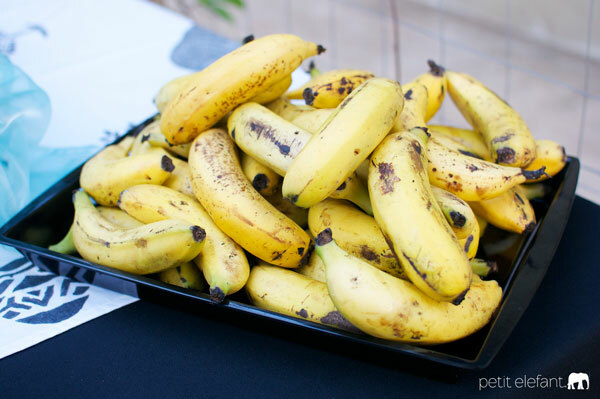 Nestle your banana right in between hot coals and let it cook until you start to see bubbling banana. Obviously the time it takes to get to this stage will depend on how hot your coals are. Resist the urge to take it out sooner. I promise there’s reward to those who wait. 5. 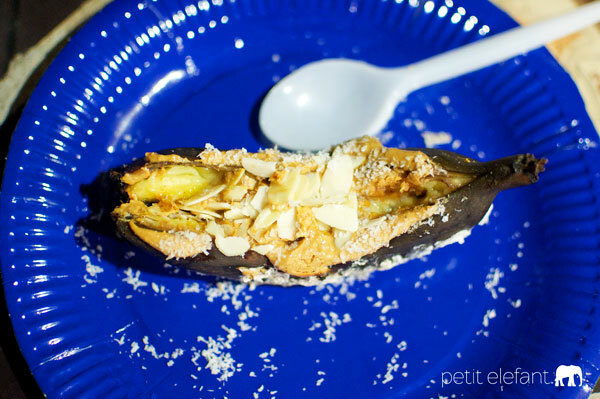 Using a spoon, scoop out that braaied banana and ENJOY! It’s most excellent paired with a hot beverage of your choosing. Here’s your last bit of history for the day. The term “braai” comes from the Afrikaner people of South Africa. The Afrikaans people originated when Europeans, mainly of Dutch descent, settled on the Southern tip of Africa in the 17th century. Afrikaans is the youngest language in the world. The earliest printed examples of this language only date back to 1856! For more readings on what’s it like to live in S. Africa, visit here and here. Jen, I cannot wait to try this, it looks amazing! Allison, it will change your life! How awesome! 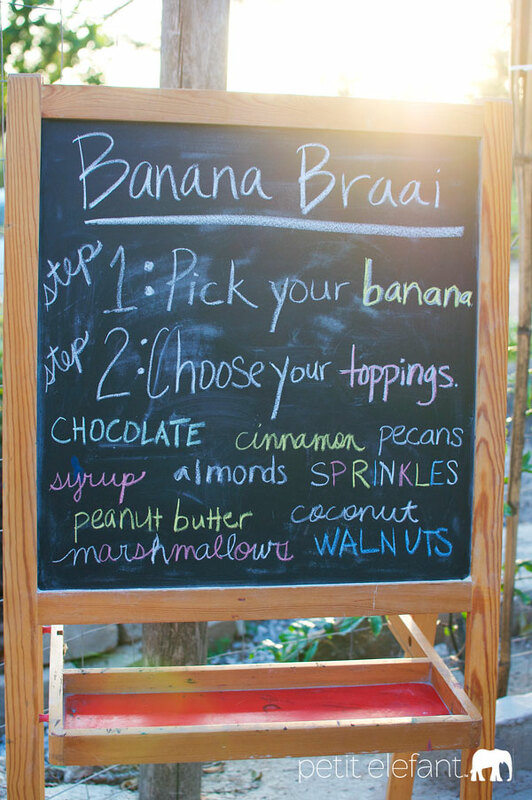 We had banana splits today – but a banana braai would be much more appropriate with the current cooler weather. Sounds fantastic, Jen! And thank you so much for the pronunciation of braai – I’d seen it on your blog a number of times but hadn’t known how to say it.